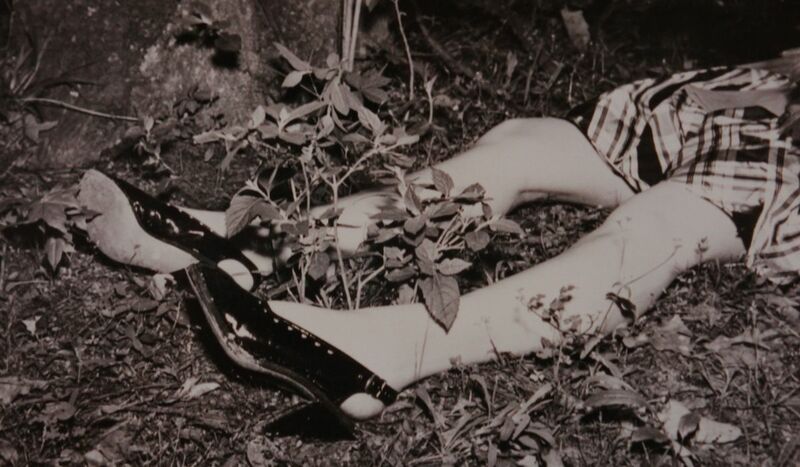 The newspapers called him “The Phantom Killer,” and referred to his crimes as “The Texarkana Moonlight Murders.” News of the bizarre and horrific killings transfixed an entire nation on the small town of Texarkana, Texas in early 1946, and the case remains one of the most notorious unsolved crimes in U.S. history. 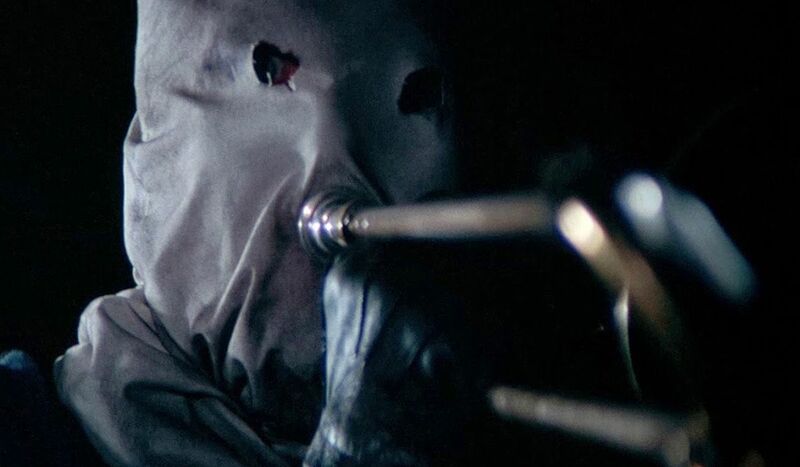 You probably know some of this story, thanks to one (or both) of two films: the classic proto-slasher THE TOWN THAT DREADED SUNDOWN, directed by Charles B. 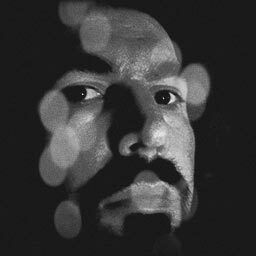 Pierce in 1976, and its intense meta-sequel of the same name, directed by Alfonso Gomez-Rejon in 2014. But those dramatizations, though extremely chilling, can’t compare to the real-life horror that actually took place over a ten-week period that fateful year. 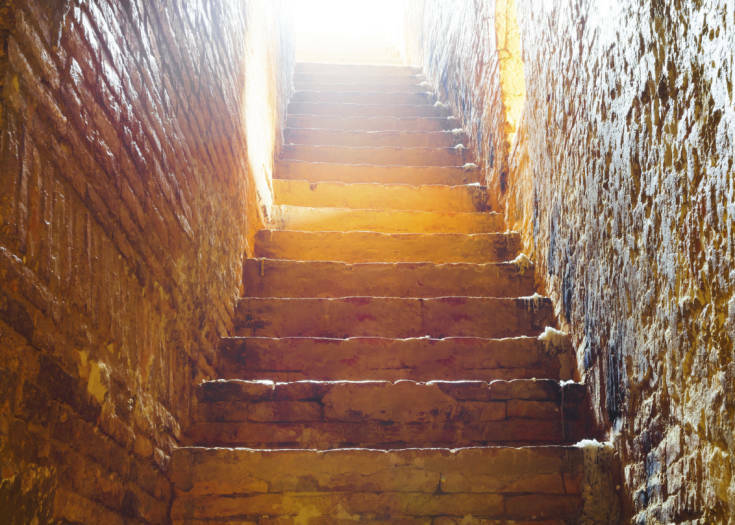 The nightmare began at Midnight on February 22, 1946, when Jimmy Hollis and his girlfriend Mary Jeanne Larey were sharing a romantic moment while parked at a secluded lovers’ lane on the outskirts of town. What seemed at first to be an armed robbery suddenly went twisted, with Hollis severely beaten and Larey violently molested by the attacker — who was described as a large man wearing a white mask with holes cut out for his eyes and mouth. The incident was reported soon after in the Texarkana Gazette, and police initiated their search for the culprit, but turned up no leads. A month passed… and it happened again. This time, there were no survivors to tell the tale. On March 24, Richard Griffin and his girlfriend Polly Ann Moore had chosen a similar secluded road to share a romantic moment before the killer struck. Their car was parked closer to the main road, so it was spotted by a passing driver, who stopped to see what was wrong. What he found was the bloody aftermath of a brutal double-murder. Griffin and Moore had been shot execution-style in the back of the head, and it appeared that Moore had been outside the car, then wrapped in a blanket and deposited in the back seat. Due to an error by the coroner, police were unable to examine her body for signs of sexual assault. Since the killer’s M.O. was nearly identical in both crimes, the police investigation expanded into a wide-reaching manhunt. Texarkana authorities called in assistance from multiple counties — even across the state line — and finally the renowned Texas Rangers joined in the search. They questioned several suspects, but found nothing conclusive. A $500 reward was posted for any solid leads to the killer’s identity, but no one came forward with anything useful. The next attack came in the early morning hours of April 13. After playing saxophone with her band at a local club, young Betty Jo Booker got a ride from her friend Paul Martin. By sunrise, they were both dead. 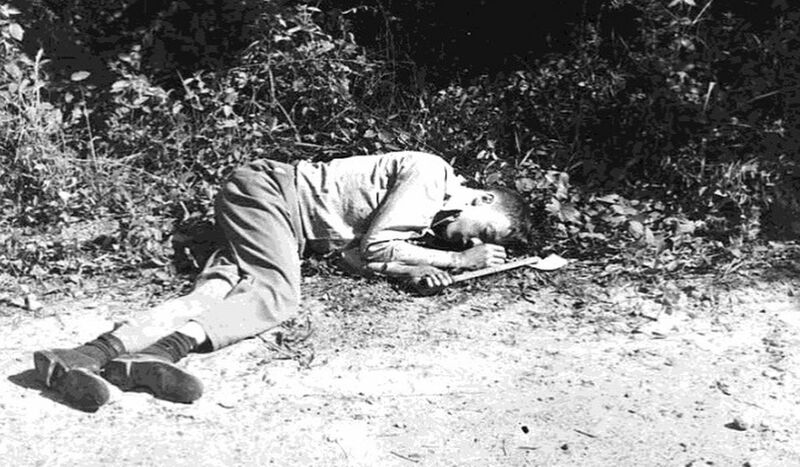 Martin’s body was found first, on the side of the road; he had been shot several times in the head. 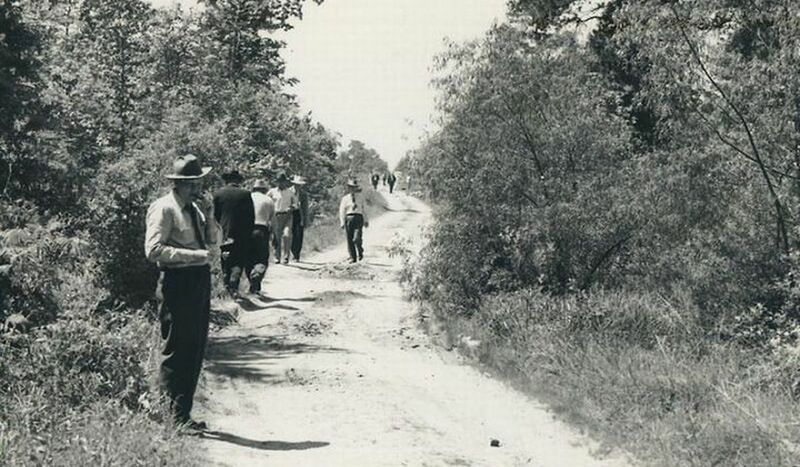 Booker’s body was not discovered until many hours later by a search party — two miles from where Martin was found. Despite conflicting reports, police concluded that she had been sexually assaulted before being shot to death. Panic quickly gripped the people of Texarkana, as police were now certain they were dealing with a serial killer. More reinforcements were called in, this time including famed Texas Ranger Captain M. T. “Lone Wolf” Gonzaullas. More rewards were posted, suspects were questioned… but again, none of the leads proved helpful. Police were hopeful for a short time after apprehending a suspect who had tried to sell a saxophone at a local pawn shop. Police found bloody clothes in the man’s hotel room, but it turned out to be his own blood — the result of a bar fight, the man said. The investigating team determined that none of the evidence tied him to the crimes, and he was released. Then, on the night of May 3, the killer struck again — and this time he was getting bolder. Virgil and Katie Starks were settling in at home for the evening when multiple gunshots shattered the living room window and penetrated the back of Virgil’s head. Katie attempted to call the police, but never got a chance; the killer shot her twice in the face. Still alive but bleeding profusely, Katie ran through the house to escape the invader, who had torn through the front screen door. She never saw his face, due to blood pouring into her eyes. She finally made it out of the house, running to a neighbor’s home before finally fainting from blood loss. Panic spread through the town like wildfire as curfews and police blockades were initiated, and terrified locals began boarding up their windows and buying heavy locks, guns and guard dogs. Businesses closed at nightfall, turning Texarkana into a virtual ghost town by sunset. Police from four counties patrolled the area day and night, while radio stations broadcast requests for donations to increase the reward fund. Rumors ran rampant, with townspeople pointing accusatory fingers at others. 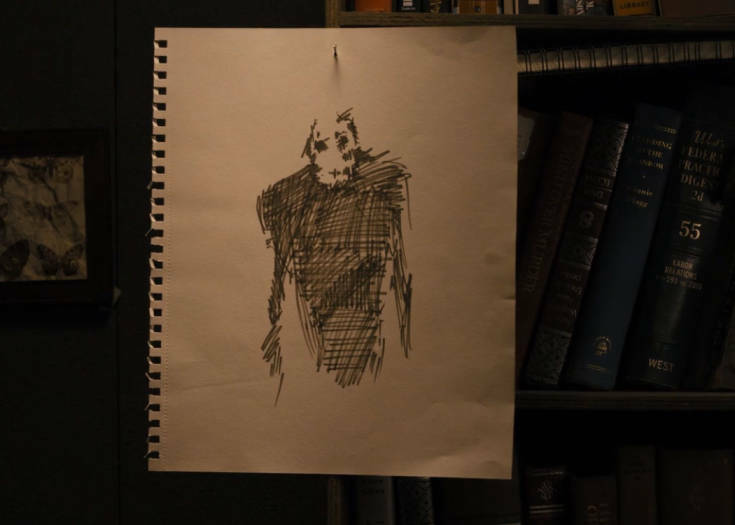 The “Phantom Killer,” as the newspapers labeled him, had become the ultimate real-life boogeyman, emerging one night each month in search of new victims. Then, suddenly as they began, the attacks stopped. Three months passed without a single legitimate report of the Phantom, and while a few possible suspects were checked — from an escaped German POW to a student at the University of Arkansas — most of them turned out to be fakers seeking attention, perpetrators of similar but unrelated crimes, or just in the wrong place at the wrong time. By the summer of 1946, the Rangers and other out-of-state police returned to their respective homes. That didn’t keep amateur detectives from snooping around for the killer, risking their lives for the possibility of fame and fortune… but like the police, no one found a trace of the faceless moonlight murderer. As most horror fans know, the widest media attention given to the Phantom killings came in the form of the original TOWN THAT DREADED SUNDOWN. Charles B. Pierce (THE LEGEND OF BOGGY CREEK) played a bit loose with the details of the case, which caused more than a little controversy among those who lost friends or family to the killer’s rampage. However, Pierce’s artistic license did provide some memorable horror moments: for example, the script by Earl E. Smith (with additional material from co-star Andrew Prine) changed the musical instrument played by Betty Jo Booker (renamed Peggy Loomis in the film) from a saxophone to a trombone; this allowed Pierce to create a truly bizarre murder set-piece in which the victim is tied to a tree and stabbed repeatedly with a knife attached to the trombone’s slide. 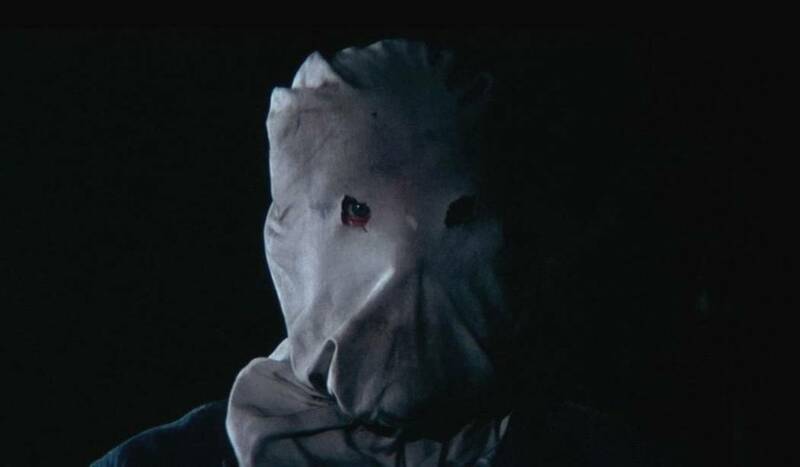 Despite the historic setting, Pierce’s film plays very much like a modern slasher film, and the killer’s look likely influenced that of Jason Voorhees in FRIDAY THE 13TH PART 2: dirty, rumpled work clothes with a crude cloth sack for a mask (in reality, the Phantom’s disguise was never identified). It also ends with one of horror cinema’s first “meta” moments, in which the shoes of the killer can be seen in line to see the premiere of the very film you’re watching. It’s that little inward twist that ties the original film to its 2014 sequel, which also plays off the concept that SUNDOWN had become a part of Texarkana culture, with Halloween screenings being held each year in Spring Lake Park and other locations. It’s one of these screenings which kicks off the story, in which a new killer is re-enacting the Phantom’s murders in modern times. 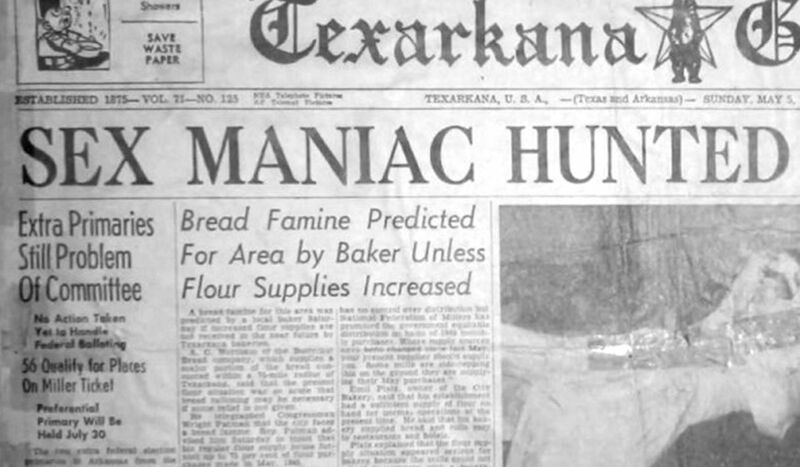 The latter film also introduces a fairly controversial concept of its own: that Texarkana itself is the villain; that the town’s split geography (it straddles the Arkansas-Texas border) reflects a darker dual nature, which has somehow cursed its citizens to relive the cycle of terror and violence over and over again. That theory may be open to question, but one thing is certain: both cinematic depictions of the Phantom’s reign of terror have ensured that this town and its frightening legacy will never be forgotten. Next Story Is the Entrance to Hell Located in Kansas?